Warsaw’s city of ghosts, intertwined with its vibrant new landscape, is both entrancing and humbling, an engrossing walk through the events of history which brings to light at every step its indestructible determination to live on. When the dust settled over the rubble of Warsaw in 1944, over eighty percent of the city lay in ruins, a few bare structures towering over a wasteland, the civilian population decimated, the survivors evacuated and the nation soon to be overcome by the Red Army that lay in wait on the far riverbank. The unbelievable resurrection of the city, rebuilt stone by stone with loving attention to the details supplied by pre-war photographs and renaissance-era paintings, still bears the traces of this destruction, etched into its colourful façades and new, modern skylines. What makes Warsaw so fascinating to explore is this trail of ghoulish footprints, the flicker of a city that has ceased to exist, whose every twist and turn, prospect, palace, square or statue is a monument to a bygone era, where even the streets and houses of the Old Town are really a reconstruction, a modern tribute to history. The character of Warsaw has been, in so many ways, shaped by its fall – beginning much earlier than the last months of the Second World War. 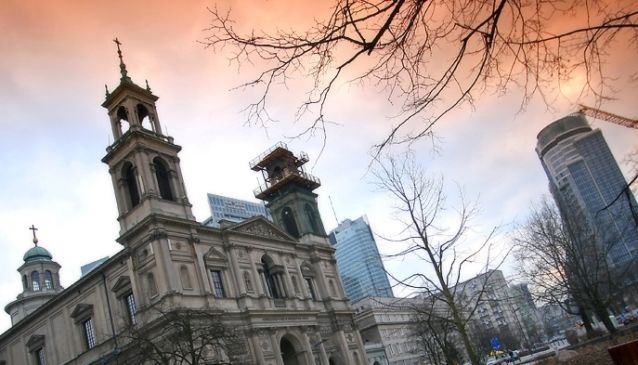 One of the defining moments in the building of the city’s character was the fall of the Kingdom of Poland in 1795, ending centuries of republican spirit and rich multiculturalism, and ushering in over a century of occupation, division and repression. 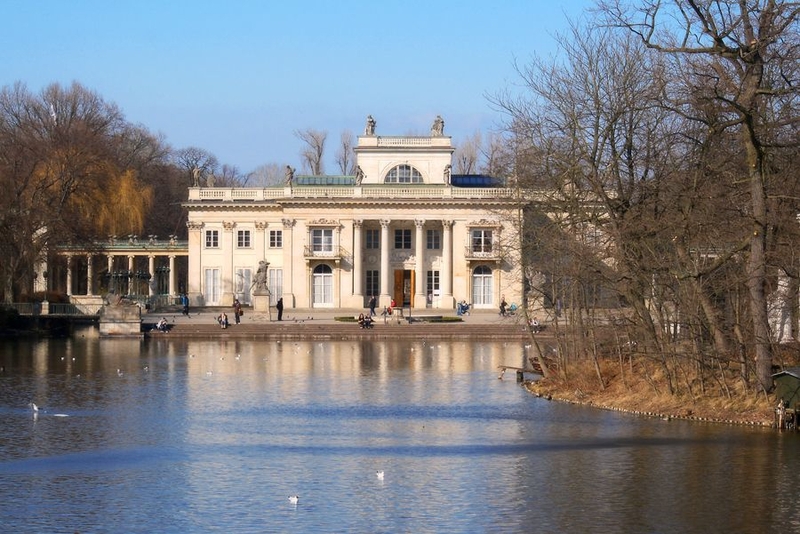 Great stretches of the historic city – Lazienki Park and its neoclassical palaces, the grand boulevards stretching between the beautifully renovated Wilanow residence and the Old Town – took shape during the dying days of the old Kingdom, its last effort to bring fresh spirit and waves of reform into the crumbling state. Still more beautiful structures of the historic city are made enticing by their sheen of mystery and horror, notable for their association with revolts, arrests, struggles for freedom and tortuous deaths. Whatever its rich and fascinating history, however – a history dating back much further than the relocation of Poland’s capital here in the sixteenth century – it is virtually impossible to disassociate the identity of Warsaw, the modern capital, from Warsaw, the mausoleum of a horrific war that obliterated the city, its culture and its identity. The streets are absolutely littered with memorials, plaques, statues and photographs reminding us of what it once was – and that this brilliant Warsaw of the past is no more. The city has taken new form, with skyscrapers, business parks, apartment blocks and modern art taking free reign across the open expanses left by the wartime destruction, but tangible ghosts linger at every turn. If you’re looking for traces of the brave struggles to defend Warsaw that have had such an indelible mark on its character, you can start right at the Old Town’s defensive walls, whose effectiveness in protecting the city from invaders was short-lived, but which continue to symbolize its citizens’ bold spirit of defense. Here you will see the statue of Jan Kilinski, an eighteenth-century shoemaker who led the people of Warsaw in the uprising against the Russian occupation in 1794, representing a long history of struggles against oppression spurred by the bravery of ordinary local people. 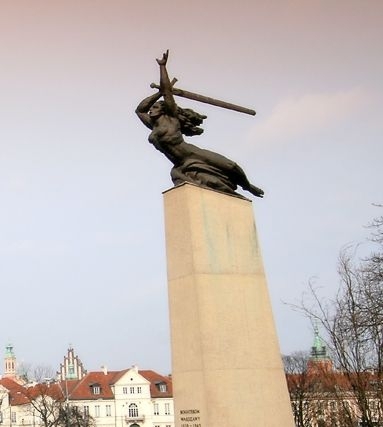 You will also find the statue of the Little Insurgent nearby, the figure of a young boy in an oversized helmet with an oversized gun, a memorial to all the children who joined the Warsaw Uprising in 1944 to free their city from the German occupation. Farther north you may come across a wagon full of crosses on a sprawling bit of railway, a monument to the thousands of Polish families deported by the Soviet army to the Gulags of Siberia. There is the haunting Umschlagplatz, where Jews were rounded up from the ghetto to await deportation to the death camps in the south. The memorial to the Ghetto Uprising of 1943 brings to life the desperate determination of Jews in the ghetto to fight to the last against impossible odds. The memorial to the Warsaw Uprising of 1944, etched out of the New Town landscape, is a stunning tribute to the will of ordinary civilians who recognized the need to fight on for the freedom of their city, even when the war was coming to its end. And all across the city, in the most unexpected places, you’ll come upon small plaques citing executions, arrests, and acts of bravery. Warsaw’s city of ghosts, intertwined with its vibrant new landscape, is both entrancing and humbling, an engrossing walk through the events of history which brings to light at every step its indestructible determination to live on. This trail of heroism, fear, destruction and memory is the backbone of the city we see today, an essential part of its cultural fabric and its spirit of independence.